The most reliable way to target mobile users in specific locations! 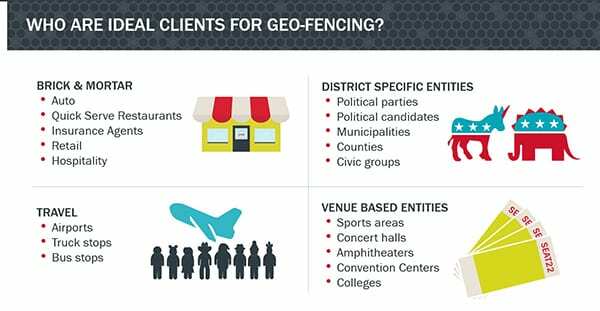 A virual geofence is traced around an area where the advertiser wants to target customers visiting another physical location (i.e. a competitor's store, a venue, or a specific part of town). Next, a virtual Conversion Zone is traced around one or more of the advertiser's locations. 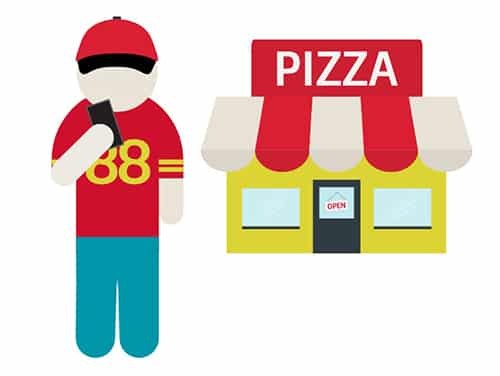 When the customer enters a geofenced location, they will then be targeted with the advertiser's ad on their mobile device. When the customer enters the Conversion Zone with their mobile device and has previously been served the advertiser’s ad, the Conversion Zone recognizes the user and attributes their visit as an offline conversion for the geo-fencing campaign. Chat with Us About Geofencing!